Frustration - your kids need it! 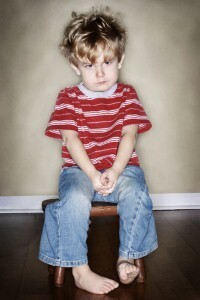 Home » Dad » Frustration – your kids need it! Frustration – your kids need it! While so much of your time as a dad is spent diffusing your children's outbursts and trying to keep them happy, sometimes a little frustration is exactly what your little ones need. If you're constantly bending to accommodate every little request or demand, your kids can begin to expect this type of response from you. In order to avoid spoiling them, consider saying "No!" and practicing these frustration parenting techniques. While they may beg and plead for new toys or an ice cream cone, often children's demands are centered around minor inconveniences that occur in everyday life. Whether it's wondering when dinner will be served or sitting in the car while you get ready to leave the house, you may want to intentionally build in some waiting time so you can develop patient understanding in your little ones. Rewards can be a great incentive to get your kids to cooperate. However, this system of encouragement can convince children that they should receive some sort of compensation at every turn. While it's OK to dote on them occasionally, don't be afraid to turn down a plea to visit the toy store just because they decided not to throw a hissy fit during errands – you want good behavior to be routine, not solely based on rewards. Denying unwarrented presents or special treatment is a good way to teach your children to become more patient and understanding creatures, but this doesn't mean you have to completely cut them off. Everyone appreciates a gift or reward from someone they love from time to time, so make sure to balance your frustration education so your children don't become bitter of your treatment down the line.